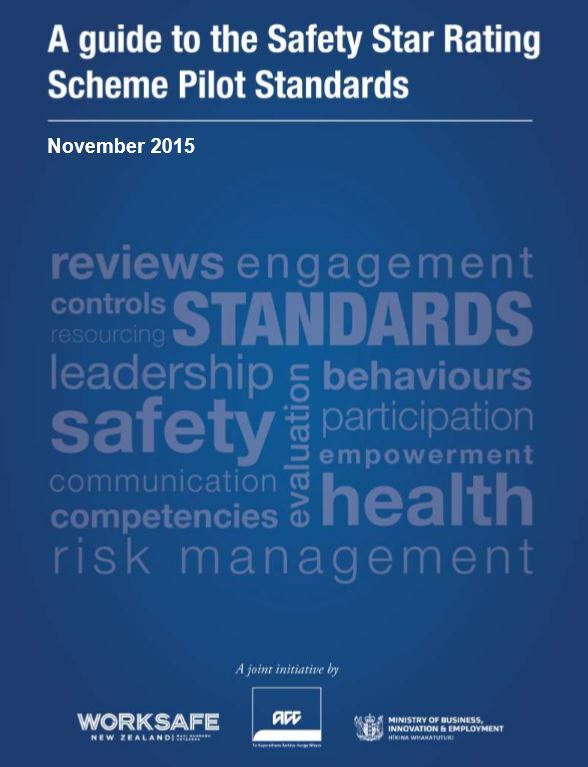 The Safety Star Rating Scheme is now the Health and Safety Performance Improvement Toolkit. It arrives Sept 2017. What is it, what’s it for? This new scheme surfaced after the 2013 report from the Independent Task Force on Workplace Health & Safety. The Task Force found there was no single factor causing New Zealand’s poor health and safety performance. Instead, there were weaknesses that needed fixing to achieve a change in health and safety performance. One of the recommendations was to introduce a voluntary health and safety rating scheme. A Pilot Scheme was created and it ran from November 2015 to June 2016. This was a joint trial between Worksafe NZ, the Ministry of Business , Innovation and Employment (MBIE) and the Accident Compensation Corporation (ACC). They got help from 95 selected businesses. There was support and advice from an Expert Design Group (health & safety experts). Also an Industry Reference Group (business stakeholders). Why is improved health and safety performance needed? It has been accepted that compliance audits can drive businesses to a “minimum compliance” approach. Passing the audit by getting “ticks in boxes” becomes the goal, rather than trying for sustainable health and safety performance. Remember, however, the scheme will be voluntary. 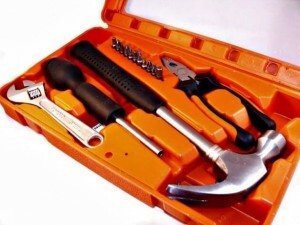 The SSRS or Health and Safety Performance Improvement Toolkit approach is different from audits. It is less about seeing formal procedures or getting ticks in boxes. It’s going to be more about actual behaviours and people at all levels showing they understand and support. Example, the aims, objectives and purposes of improved health and safety performance within a business. Information about health and safety will need to be accessible and understandable. 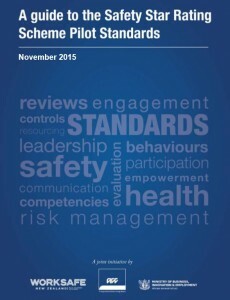 It’s intended to be an assessment of how much health and safety is an integral part of the organisational culture. Understanding and managing health risks, (as distinct from physical safety risks). Involvement of contractors and sub-contractors. Empowerment, time, training and resources for health and safety representatives. Reviewing the effectiveness of risk management initiatives. Developing lead indicators as well as lag indicators. What does the health and safety performance toolkit look like? Effective health & safety governance. There is also a concept of an underlying continuous improvement. (Official publicity materials use the word “continual”, but I believe “continuous” is the better of the two usages). The detail is still being finished. The aim is that resource materials, guidance and independent on-site assessments will be available in September this year. Free online self-assessments are targeted for mid 2018. The process to recruit and train independent assessors has already got under way. On-site assessments will be a direct business arrangement between the business and the chosen independent assessor. To encourage health and safety performance improvements, the assessment focus is on People, Resources, Behaviours, Systems, Practices, Attitudes and Culture. As you can easily see, that list is mainly intangible, as far as getting evidence. But health and safety performance is largely a behavioural matter. Things like people, attitudes and culture actually do make the difference. Ticks in boxes do not, in themselves, make people and their behaviour safe. There are three levels of achievement: 1. Developing (not yet meeting the standard); 2. Performing (health and safety performance is reviewed and monitored. Workers engaged. Risks identified and actions taken); 3. Leading (health and safety performance is integral. Sense of ownership. Business takes a leading industry role in health and safety performance improvements). In addition to the assessment covering the 10 performance requirements, there is a “deep-dive”. This is a look through the layers of the organisation with regard to at least 3 key health and safety risks. The three levels of achievement could be seen as similar to ACC’s Primary, Secondary and Tertiary, at least as a concept of progress and excellence. But the scheme does not replace WSMP/WSD and there are no financial rewards attached. What does this approach mean for the way an assessment will be conducted? We don’t know the detail yet, but clearly, pieces of paper will only play a supporting role. The assessor will be interviewing individuals and groups and determining how much they understand; how information is presented; what support and resources are available; what actually happens; what activities and beliefs are part of “the way things are done around here”. Assessors will not be taking anything on face value. And unlike previous audits, such as ACC’s, they will have a value added duty to provide advice and guidance on how to improve. (Achieve each level of health and safety performance). 1.2 Senior leaders prioritise their health and safety actions as a result of the business’s risk profile. Comment: Clearly, this includes officers and senior managers and would require an established risk profile; an understanding of the business; of the meaning of risk; a set of agreed actions to reduce risk; a clear prioritisation method and evidence that actions were being taken. 2.4 Everyone in the business understands and can engage with the shared vision for health and safety. Comment: This is a good example of something where a piece of paper stating that everyone understands, with signatures and dates, just won’t cut it. The assessor will be asking open questions to real people and the expected answers won’t be yes or no. 3.3 Everyone is competent to perform their role. Comment: Now that’s likely to cause some soul searching! And assessors would need some good skills to make constructive judgements and recommendations. 14.1 The business (with workers and representatives) periodically reviews the effectiveness of its risk management activity. Comment: Apart from the need to involve all workers, the guidance notes suggest that questions could include: Changes in the risk profile; improvements needed; reports/feedback from workers; learnings from recorded data; guidance from regulatory bodies. The above is a small selection. Many of the requirements can only be assessed using verification methods based on qualitative judgements. Like performance, competence and understanding. (Note that the numbering and wording of any or all of the above may be changed significantly by the time the final version emerges). As the information on the Worksafe website says, the health and safety performance improvement assessment is “not a traditional conformance product”. Independent assurance and increased confidence in managing health and safety. Reduced costs and inefficiencies caused by workplace injuries. Access to continuous improvement by providing accessible guidance and advice. Support for bidding in contracts where health and safety is an important factor. Enhanced reputation and brand recognition. 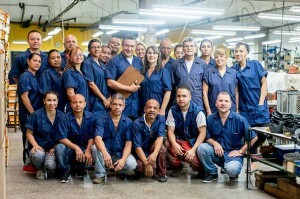 Showing leadership and commitment to employee welfare. More details as information comes to hand. More information on the Health and Safety Performance Improvement Toolkit.